Summary Against Modern Thought: Can God Know The Future? Does God know everything that will happen? If so, how? FROM the foregoing it is already somewhat evident that from eternity God has had unerring knowledge of singular contingencies, and that nevertheless they cease not to be contingent. For contingency is not incompatible with certainty of knowledge except in so far as it is future, and not as it is present. Because a contingency, while future, may not be; so that the knowledge of one who thinks it will be, may be wrong, and it will be wrong if what he thinks will be, will not be. From the moment however that it is, for the time being it cannot not-be: although it may not be in the future, but this affects the contingency, not as present but as future. Hence sense loses nothing of its certainty when it sees that a man is running, although this statement is contingent. Accordingly all knowledge that bears on a contingency as present, can be certain. Now the vision of the divine intellect from eternity sees each thing that happens in time as though it were present, as we have shown above. Therefore it follows that nothing prevents God having unerring knowledge of contingencies from eternity. Notes I might have abridged this paragraph but left it to show how careful Thomas was. All the rigor of any modern mathematical theorem. Like I’ve said before, I also enjoy the way our saint eases us into problems. Again. The contingent differs from the necessary according as each is in its cause: for the contingent is in its cause in such a way that it may not result, or may result therefrom: whereas the necessary cannot but result from its cause. But according as each of them is in itself, they differ not as to being, on which the true is founded: because there is not in the contingent, considered as it is in itself, being and not-being, but only being, although it is possible for the contingent not to be in the future. Now the divine intellect knows things from eternity, not only as to the being which they have in their causes, but also as to the being which they have in themselves. Therefore nothing prevents it having eternal and unerring knowledge of contingencies. Notes Don’t forget that eternal does not mean “starting at some point in the dim and forgotten past and looking forward into the misty future” but instead as “outside of time.” The analogy, imperfect as all analogies are, is looking down from on high onto the timeline of history. Moreover. Even as the effect follows certainly from a necessary cause, so does it from a complete contingent cause unless it be hindered. Now, since God knows all things, as was proved above, He knows not only the causes of contingencies, but also that which may possibly hinder them. Therefore He knows certainly whether contingencies be or not. Again. An effect does not happen to exceed its cause; but sometimes it falls short of it. Hence, since in us knowledge is caused from things, it happens at times that we know necessary things, by way not of necessity but of probability. Now, just as with us things are the cause of knowledge, so the divine knowledge is the cause of the things known. Nothing therefore prevents things whereof God has necessary knowledge being contingent in themselves. Notes Oho! A shout-out to probabilists and statisticians from the man himself. Not only that, he ties, as we should but don’t, probability to knowledge of causes. That point is subtle, so I’ll leave off here. But stick around. Next week I’ll have a paper on this topic. Further. An effect cannot be necessary if its cause be contingent, for it would follow that an effect exists after its cause has been removed. Now the ultimate effect has both a proximate and a remote cause. Hence if the proximate cause be contingent, its effect must needs be contingent, even though the remote cause be necessary: thus plants do not necessarily bear fruit–although the motion of the sun is necessary–on account of the contingent intermediate causes. But God’s knowledge, although it is the cause of the things it knows, is nevertheless their remote cause. Wherefore the contingency of the things it knows does not militate with its necessity: since it happens that the intermediate causes are contingent. Notes Never forget we already know God is the first necessary cause of all. Again. God’s knowledge would not be true and perfect, if things happened not in the same way as God knows them to happen. Now God, since He is cognizant of all being, whereof He is the source, knows each effect not only in itself, but also in its relation to every one of its causes. But the relation of contingencies to their proximate causes, is, that they result from them contingently. Therefore God knows that certain things happen and that they happen contingently. Wherefore the certainty and truth of the divine knowledge do not take away the contingency of things. Notes This immediately follows. The big step comes next. Notes And here we see that Pinnock (see last week) and others cannot be right that God can be “surprised” by future events. The future is not “open” in this sense. It is an understandable error to fall into, however. We’re dealing with infinities such as God’s omniscience and omnipotence, which St Thomas was careful in the beginning to say that we could never know. We’re always coming at God on the edges, so to speak. We can never grasp what it’s like out at infinity. Therefore, “problems”—or, as the Church calls them, mysteries—like the compatibility of free will with an all-powerful all-knowing God cannot be solved by us in any complete sense. The best we can do is create analogical arguments, or even, in some cases, formal technical proofs of associated ideas, but a full understanding must elude us. The best books on this subject are by William Lane Craig: The Only Wise God: The Compatibility of Divine Foreknowledge & Human Freedom, and The Problem of Divine Foreknowledge and Future Contingents from Aristotle to Suarez, and a few others. The first is a semi-popular treatment, and the second an expert treatise. When I get around to it, I’ll review the first. Cf. ch. lxiii. : The third . . . p. 133. Ask yourself this question: If you were God why would you want to know future? It seems knowing every thing was going to happen would be boring. Therefore, my thought is that God operates with all of us on a real time basis. We make a move then God decides to make a move or not make a move based on his beneficence , our current situation and our intent. One of the things that this would mean, if true, is the mystery of predestination would no longer be operative. Any one have some thoughts on this? Jesus was God so he had the power to do what he intended to do. We do not. The theory of special relativity introduces complications into the reasoning given by Aquinas. What is future in one frame of reference may be past for another. Is there a universal frame of reference for God, or is the Universe a block universe, in which the future world lines are all laid out and immutable? I apologize again for blowing my own horn, but it is relevant. Saying tat we cannot know infinity is a cop-out. Why you need to do is to define it. Like infinity for natural numbers means that there is no biggest natural number, as you can always add 1 to it to get the biggest natural number. In a similar way you can define omniscience as being able to answer “yes” on all questions of the form “do you know if x”. If that particular definition clashes with the one of Aquinas, so what? There are lots of different kinds of infinity for numbers too. If that particular definition clashes with the one of Aquinas, so what? So then you’re talking about something else and not what Thomas was talking about. You cannot rebut a man who says that chocolate is tasty by pointing out that a rock is not, even if both are dark brown. There are lots of different kinds of infinity for numbers too. Ya’ know, to read Aquinas is to truly understand why it really doesn’t matter whether or not there is a God. What’s the point? If God is everything, it changes nothing. If you were God why would you want to be *ignorant* of the future? Truly, it is a strange form of relieving boredom if it has to rely on *ignorance*. This is the first point. The second point is, if you were God, why knowing the future would in fact be boring? I can understand that *you* would find boring, because *you*, with the rest of us lowly mortals, live in time and experience its passage. That which is going to happen, the future, is also going to *happen to us* as we are changeable and a mixture of potency and act. But as the Saint explains, and Briggs notes, God is pure act and does not live in time like we do. Seems to me God created us and the universe as both an expression of his charity and a way of keeping Himself entertained and occupied. Further God is a creator, and a creator must create. Therefore, why in the world would God want to know exactly how everything would turn out at the moment of creating the universe and all that would be in it? I think of God, us and the universe as a fantastic play that God created as an expression of His love and for our benefit. This is the ultimate tragicomedy with God as the interactive real time agent and us as the real time actors. I wonder what Act we are in now? Are there no movies, books, or plays that were so enjoyable you willfully experienced them more than once? Not just twice, but over and over? Most people do. Knowing every line, twist, etc. Doesn’t diminish the enjoyment. Why could God be like that? I would also add music. Are there no songs you enjoy listening to and remembering even though you know every word and sound? God could be any way He wants to be. But if I were Him I would relish the surprise of it all–with music optional, of course. A virtual symphony of cosmic interactions, the rising and falling of empires, the saints and the sinners, life and the death, all of the thoughts and all the emotion, the tragedy and comedy, everywhere and always, until, one day, I decided to pull the curtain and write a new play. An alternative definition of omniscience that turns out to be incompatible with the definition provided by Aquinas. To logically proof that Aquinas is right you have to prove that all other definitions of Omniscience are logically impossible by themselves, and not because they clash with other definitions. 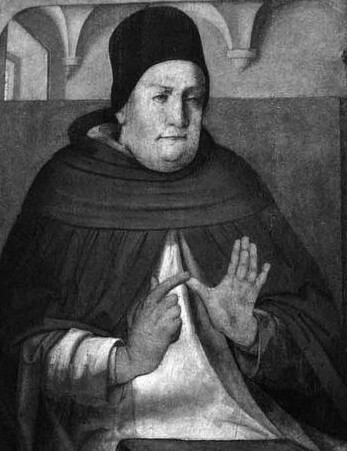 Aquinas only proofs that his definition is not inconsistent with the rest of his argument. Thus achieving consistency. This is hard to swallow for folks accustomed to cafeteria-style philosophy: all bricks are supposed to fit together. Don’t see why that’s necessary. Of course, I’m not sure what other definitions are possible beyond omnia and scientia. One has to read the original Latin to be sure. I see quod Deus omnia simul intelligit in chapter 55. But in this article, he is only proving that God knows future contingent singulars. Does it? Well, do not let arguments get in the way.